Modern web developers are increasingly embracing the usage of serverless applications in their architecture. These applications are referred to as “serverless” because they’re hosted and executed on the servers of third-party providers (and not on servers you own). Delegating this responsibility to another cloud provider allows you to worry only about the code that’s run and not maintaining the server running it. One major serverless service that’s been catching my attention lately is IBM Cloud Functions. The concept of IBM Cloud Functions is very similar to that of Amazon Web Service’s Lambda or Google Functions. IBM Cloud Functions allow developers to write out applications on IBM’s servers and have the execution of those services triggered remotely on demand. What I want to explore is how IBM Cloud Functions might be the best solution for your tech stack and how Codeship can help you better test serverless parts of your architecture. First and foremost, we need to sign up for IBM Cloud. The service offers a convenient 30-day trial that doesn’t require any credit card info. Once registered, we can start digging into what IBM Cloud Functions has to offer. From the IBM Cloud dashboard, navigate to the Functions section and select Create Action. Our application will be based on Node.js, and we’ll name it HelloWorld. Once you have reviewed your settings, you can create the action. You’ll then be navigated to the *Code * screen. The screen should present something that looks like an interactive online IDE. On this screen, we can manually write out our application or upload an existing one. For our purposes, we’ll be writing our application from scratch. js: "alert('hello " + name + "');"
The initial execution of our application was successful, but we still haven’t leveraged it to its full potential. Our application was built to handle cases where name is blank or undefined. However, we want to see how it actually handles live inputs of “real” data. With a primitive application created, active, and working, we can start to figure out ways to trigger it from other locations. While experimenting and refining our IBM Cloud Functions in the IBM Cloud console is productive, the true value of Functions lies in having them triggered remotely. IBM Cloud Functions allows you to call functions from other IBM services with ease. However, what if we want to call a function from a server we own? We can turn our function trigger into a POST endpoint with a few simple steps. To test this out locally, we can launch our API client of choice (I recommend either Paw or Postman) and attempt to POST to this URL. From here, we can start inserting and executing this function in other applications or even in other serverless functions! The advantage of serverless functions is you can save a good chunk of money on cloud hosting costs. The downside of all of this is that your application ecosystem depends on an external service. This means that even for local development instances of your application, you have to either mock out calls to those services or configure development-enabled versions of those services. Depending on how crucial your external function is, it could be costing you a lot of money to simply develop and test an application locally. With Codeship, we can utilize IBM Cloud Functions in a variety of ways, but one of the most practical paths would be to use it as an effective staging environment for Codeship Pro. We can configure our projects to trigger or enable execution of IBM Cloud Functions when testing out or deploying our applications. 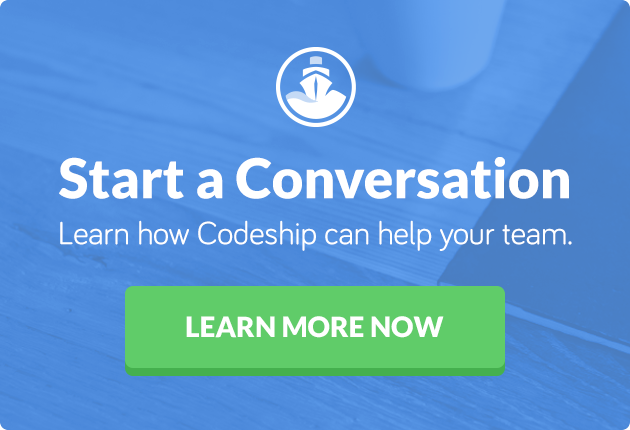 You can find more information on how to enable IBM Cloud in Codeship’s Documentation Library.